The iCloud is Appleâ? ?s free data-syncing service that is also supported by windows machines and while it works pretty well, a lot of people have issues with its lack of options and of course the fact that you can only use it with an iPhone and on one PC. 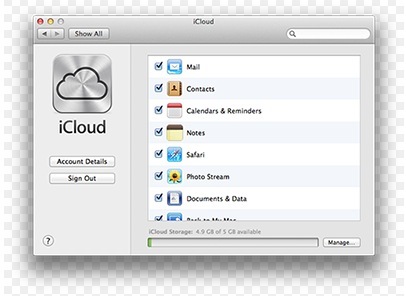 Read this guide on some great alternatives to iCloud. If you want to be able to access your library of music from wherever you are, iTunes is fine but with Spotify, you can not only download music for your playlist but you can also can choose to legally stream music that you donâ? ?t already own. That way you donâ? ?t have to use the storage of your phone up with music or pay to listen to the songs you want. You can create a streaming playlist similar to the way YouTube playlists work so it makes it much easier. Please note that if you do not pay for the music you donâ? ?t technically own it but are instead being allowed access by paying for you Spotify subscription but if you are happy to stream for free and donâ? ?t mind not owning the music then Spotify is superior to iTunes. If you are already with iTunes, you can easily copy your entire existing library over to Spotify so you wonâ? ?t lose anything that you already own. Sugarsync offers more space for a cheaper price than iCloud however; they do not offer a free service. If you donâ? ?t want to pay, obviously iCloud is the only choice but if you are willing to pay, SugarSync may be the better option because it gives you more features, such as the ability to delete photos and it is compatible to use with multiple computers as well as Windows and Android devices and also allows easy sharing. The SugarSync iPhone app allows you to take photos that instantly upload to your cloud service so they are always backed up and available for you to access on any device. Loom is similar to iCloud in that it is Mac only and you get 5 GB free with your account. You can pay to upgrade to 50GB or 250GB on a monthly basis. It is made for people who are especially serious when it comes to their photos. When you add photos to your Loom library, it is automatically uploaded to the server and multiple versions are created in different sizes for extra security. If you delete a photo from your library it will remain on the loom server so if you have any secret photos youâ? ?d rather not keep on your phone then it works well for that. You can password protect with this app and loom now supports the new RAW format. For $4.95 a month you get 75GB of storage space with Zip Cloud which is pretty decent. Put that up to $6.95 for unlimited storage and itâ? ?s hard to beat. This product is reliable, easy to use and it looks nice however it is pretty limited in features like the iCloud. LiveDrive is $6 per month for unlimited space and has a ton of features, plus the software is nicely designed. The only downside is that you can only use it one machine but if you only need the one computer then it is a good choice for you. This software offers unlimited storage for $5 per month making it the cheapest option but the software is not quite as nice to use, it restricts some files and itâ? ?s a bit slower. If all you want is cheap though then go for it. Dropbox is a very well-known backup system, itâ? ?s very easy to use and to share files but itâ? ?s a little more expensive too. The company offers 2GB of free storage, with up to 18GB free available by uploading photos and referring other users (free or paid). Paid storage starts at $10 per month for 100GB of storage. It works on everything. Tom Farley can normally be found investigating the very latest software tools from his small home office. His latest research has focused around trying to find the ultimate keyword research tool for SEO purposes.